Nearest station of Miidera-Temple. It is approximately 20 minutes from JR “Kyoto station”. It is approximately 30 minutes from Kyoto Municipal Subway “Sanjyo Keihan Station”.From here it is a 10-minute walk from Miidera-Temple’s Niomon-gate, a journey full of history such as Lake Biwa Canal and “Mio Shrine” famous as “Rabbit Shrine”. Road of water that links Lake Biwa and Kyoto. 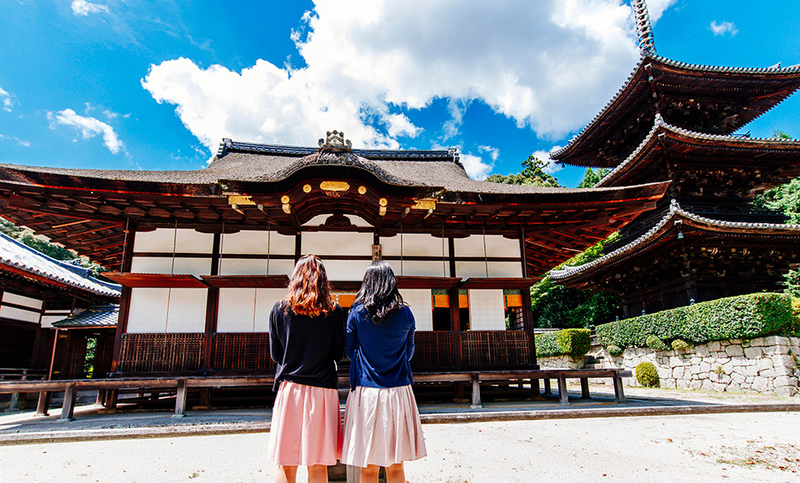 In the Meiji era, it was constructed with the aim of transporting water, electricity for agriculture, people and supplies.It is a spot that can be enjoyed beautiful scenery throughout the year as it is also certified as a modernization heritage of Japan. The entrance of Miidera-Temple where guardian statue guards.This monkey gate also called “Daimon Gate” is due to the donation of Tokugawa Ieyasu. On the left and right of the gate is the statue of the Muromachi era. Main temple of Miidera-Temple. 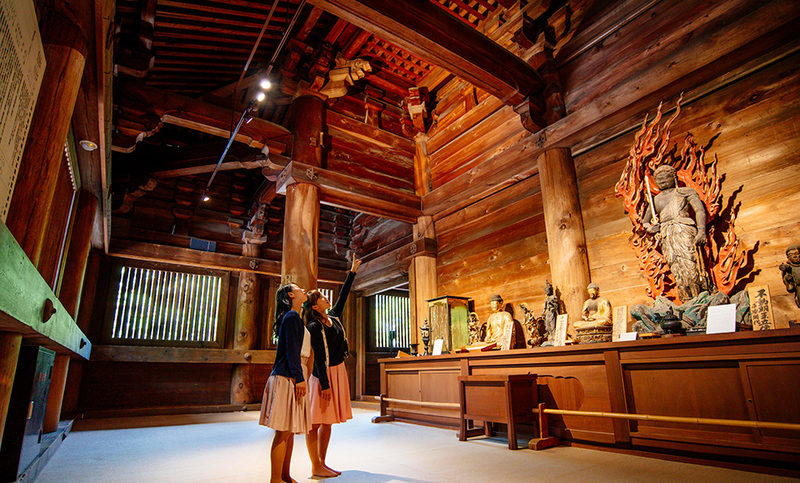 It is a national architectural representative of the Momoyama period, and it is designated as a national treasure. 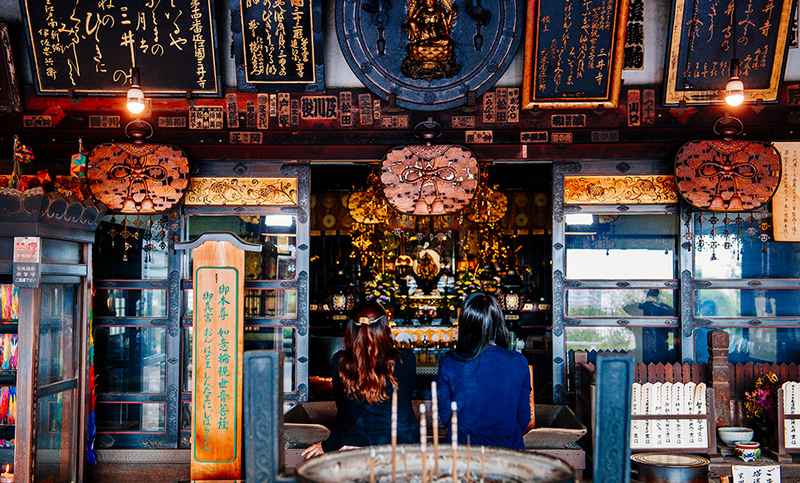 A variety of Buddha such as Epic Buddha, Sonjo-o and Fudo is enshrined in the temple of freedom of worship. 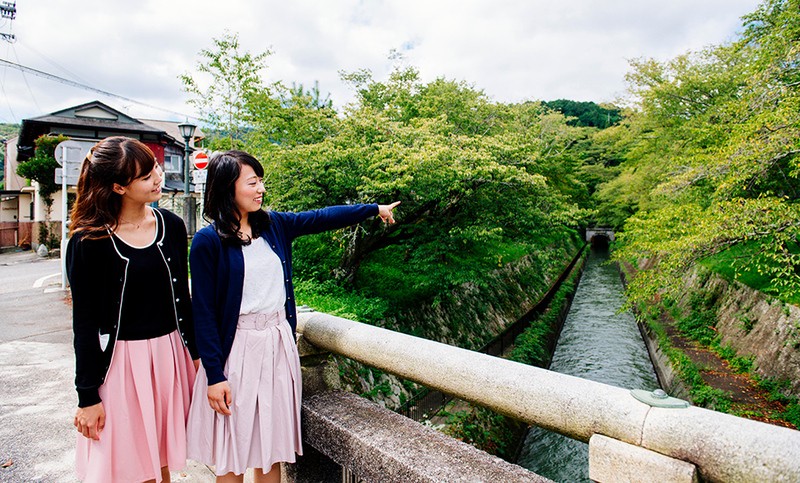 “Akai” is a well that pays holy water to offer to the Buddha. It is reported that the spirit springs springing up with mysterious sounds from ancient times became the origin of the name “Mii” temple, as the Three Emperors of Tenchi, Tenmu and Jito used it for the water production. 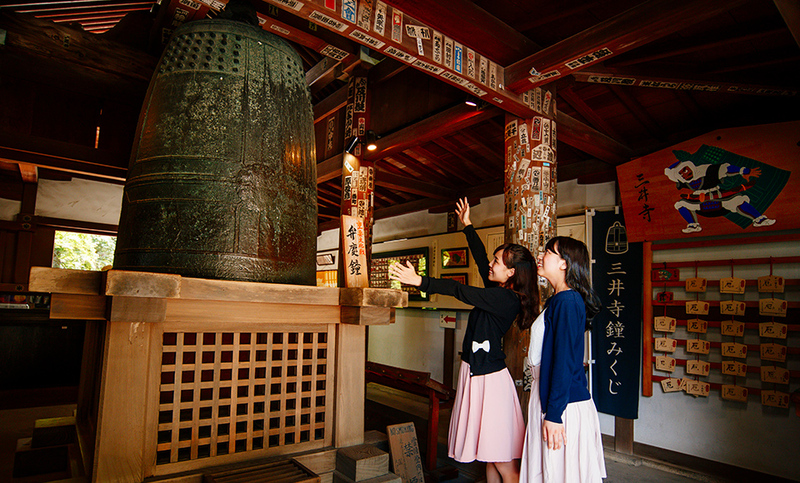 A bell told that Benkei took away from Miidera-Temple and pulled up to Mt. Hiei during the Heian period. 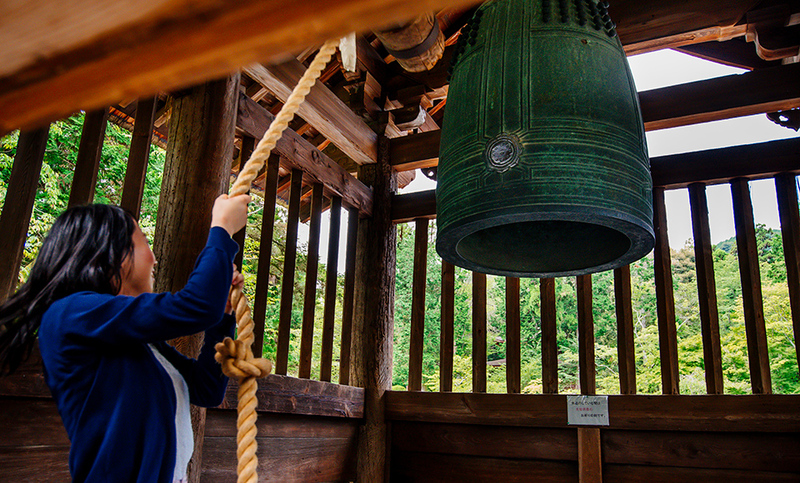 But when I touched the bell, I heard that “Ino, Ino (I want to return” in the Kansai dialect “)”, he said that Benkei got angry and threw it to the bottom of the valley.The bell has scratches that are said to have arrived at that time. Miidera-Temple’s specialty “Bell Mikuji”, enjoyable here, is a mysterious Omikuji that takes a bell-shaped note in water and divides fortune. 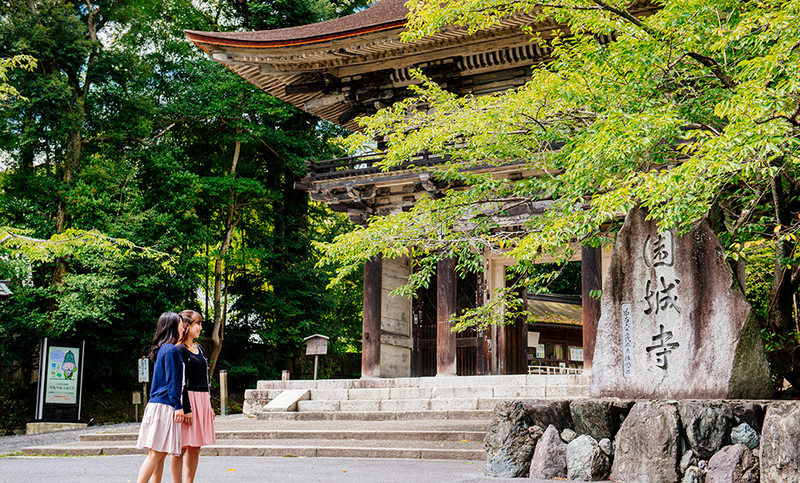 To-in is a sanctuary of Miidera-Temple, which is enshrined by the founder Chisho Daisi. 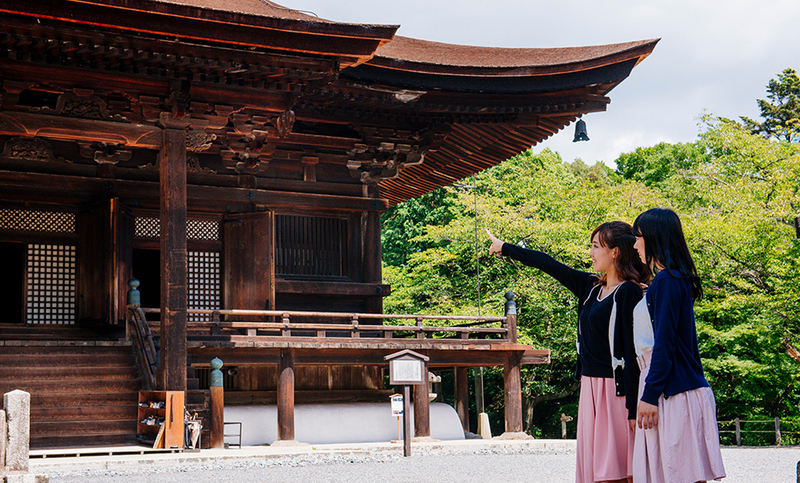 The triple tower located in the back is a thing transferred from Nara and Sesonji-Temple(Old Hisodera-Temple), it is designated as an important cultural asset. By the way, Three-Storied Pagoda Yokohama was used for one scene of the movie “Rurouni Kenshin”. 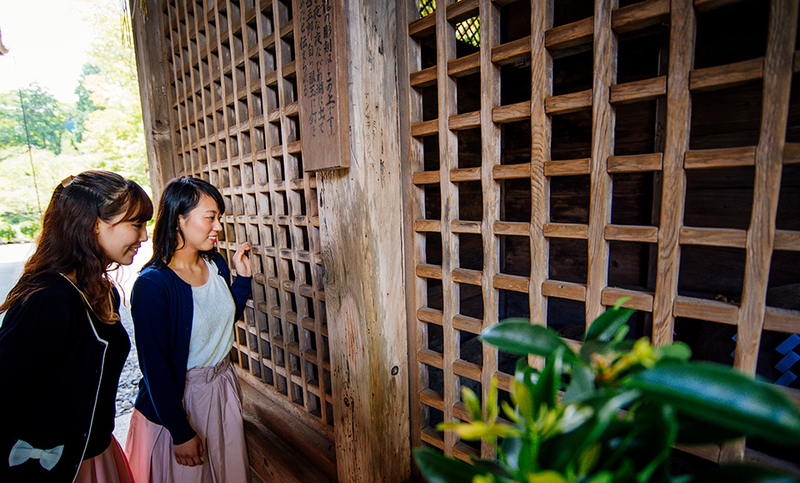 A tea ceremony made by refurbishing this monastery and Honju-in in the Edo period. 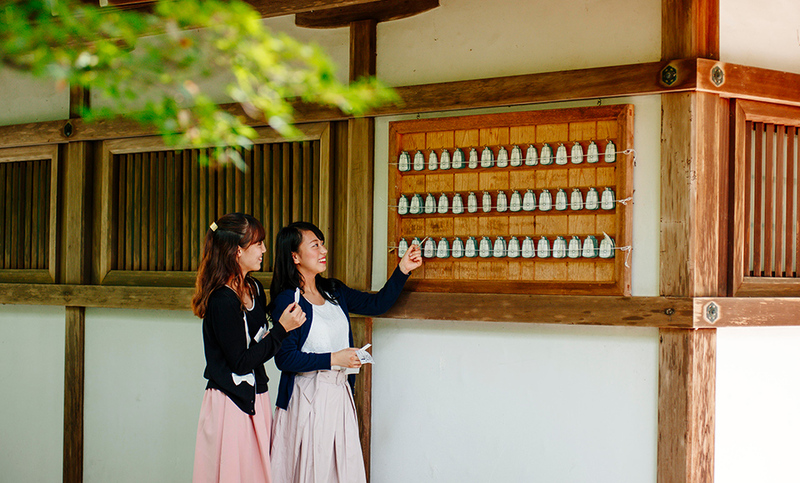 While watching the garden in the clear air in the precincts, you can taste the five big Japanese tea “Asamiya tea” etc. 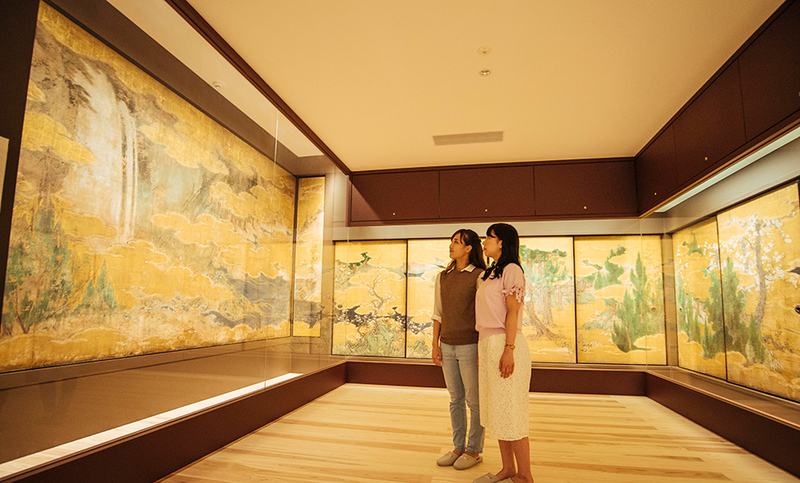 You can appreciate the barrier paintings of Mitsunobu Kano and precious Buddha statues, which are considered one of the best masterpieces of the Momoyama period. At the entrance souvenir corner, goods of Miidera-Temple public relations monk “Benben” who carried the turtle shell on the back are also on sale. The 14th Buddhist of the Kannon Pilgrimage, Sanpozan, Sanpo.Your honored guest will be opened once every thirty – three years. 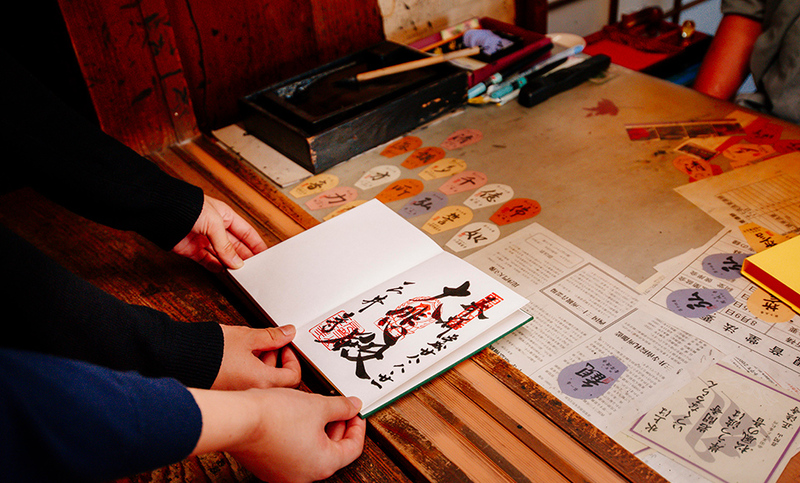 Here you can have a red stamp of “Daihi-den”. 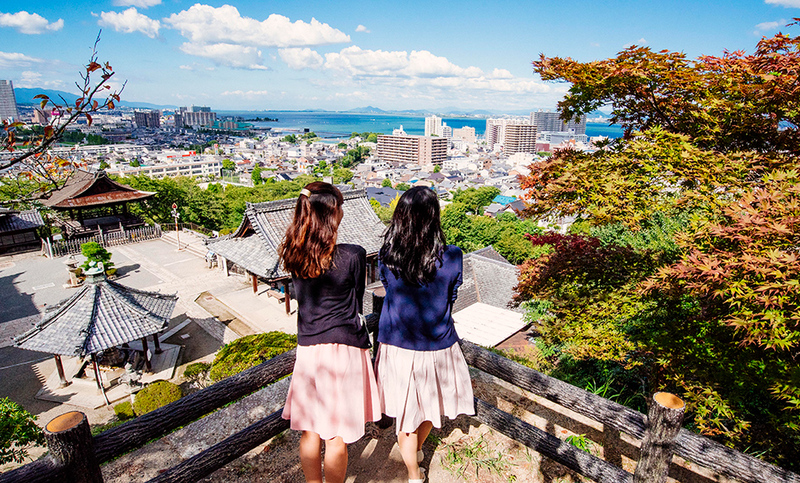 If you go up the stone steps further from Kannon-do, it will be an observation deck that can overlook the city of Otsu. Lake Biwa, a glittering sparkling sunshine, spreads under the eyes.Many literati, such as Matsuo Basho and Masaoka Shiki, are said to have loved the view of Lake Biwa from which you can see.